The phlox is carried to perennial ornamental plants. The name of this plant speaks for itself: in translation from Greek it means "flame" as flowers look very bright in a sunny weather as if radiate light. A phlox is the most decorative of all existing soil perennials. All steam of such bushes on a bed or in the mixed group will give to all flower bed appeal. Besides, phloxes fragrant also differ in a variety of coloring. Sectional phloxes are most popular with gardeners. It and isn't surprising, after all they differ in bright coloring, magnificent and long blossoming. In addition, phloxes – extremely unpretentious and steady plants with firmness transferring even hard frosts. 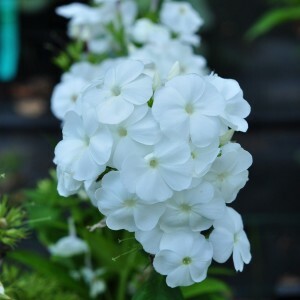 Phlox stalks straight lines, with dense foliage, their height varies from 50 to 130 cm. Distinctive feature of perennial – existence of powerful root system.